Throughout this series, we will focus on a sometimes overlooked but critical component affecting the safety and performance for athletes of all ages – the playing surface. Many turf-related websites include information that can be both educational and practical. 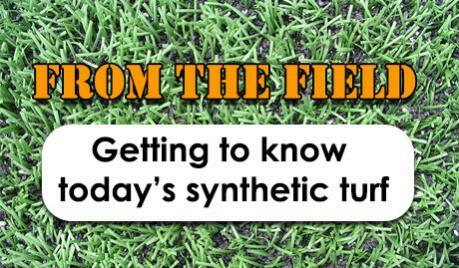 These resources are valuable not only to those directly involved in maintaining football fields, but also those looking for answers to general questions about synthetic or natural turf. The challenge is knowing where to look. The rigors of football are not only hard on players and coaches but the playing field, too. Repetitive drills and multiple practices per day during the late summer heat can put a beating on your field before the season even begins. A few simple tips can help minimize field wear and tear. Preparation is key for teams to perform at their best. It is no different for your field. 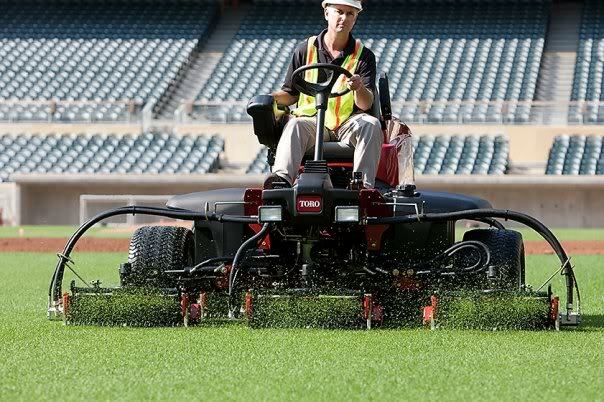 Caring for and preparing your field now will help it perform its best throughout the season. A common misconception is that synthetic turf fields are maintenance-free. This is not the case. Synthetic turf fields require regular maintenance to preserve and enhance safety and playability along with maximizing the turf’s lifespan. Once primarily reserved for professional stadiums, synthetic turf fields can now be found in communities across the country. 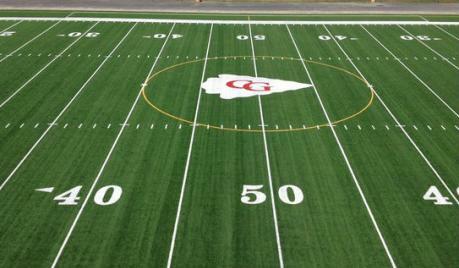 Whether considering a switch from natural turf or replacing a current synthetic turf field, it is important to know the terminology and understand the characteristics of today's synthetic turf systems. 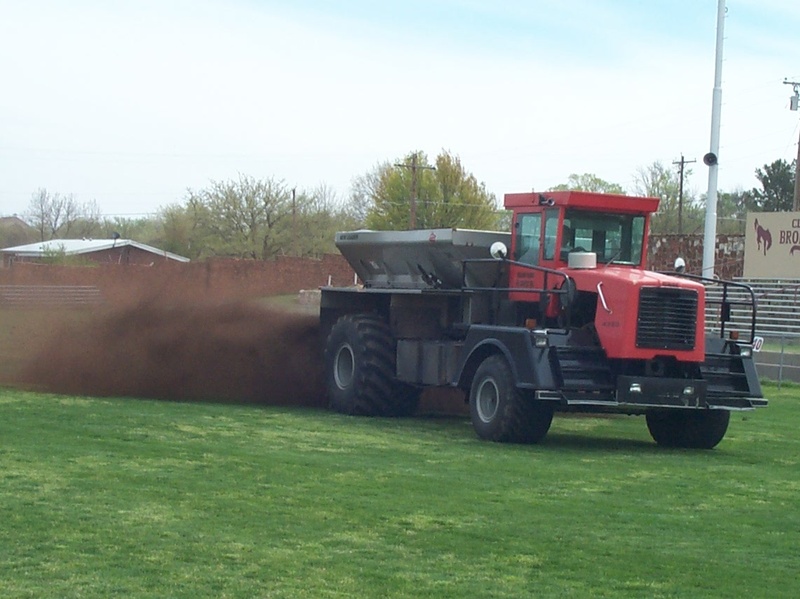 While the football season may seem like a long way off, proper field care in the spring helps maximize safety and playability in the fall. Reducing head injuries is a major focus for football leagues across the country. While concussions can be the result of helmet-to-helmet contact, research reports have shown that approximately 10 percent of concussions in football are casued by the head impacting the surface. Late fall field care is an important step in getting your field ready for next season. If you field is as heavily-used as most, there likely is plenty of thin turf and even some bare ground on your field. A common misconception is that synthetic turf fields are maintenance-free. While routine mowing, fertilization and other upkeep required on natural turf fields are not needed on synthetic turf fields, other types of maintenance are required to preserve and enhance the safety, playability and lifespan of these fields. If a field is not properly cared for, problems can develop, such as low and inconsistent infill levels, separated seams, degrading fibers and surface debris. These problems can create hazards and accelerate field aging. The good news is that by following a few field maintenance guidelines, you can help protect the athletes using your field and also your investment. As we turn the page on summer and head into fall, it is finally time for some football. Hopefully, your season is off to a great start and you have a couple of games in the win column. With some games in the books, there is a good chance that your field may not look as good as it did just a few short weeks ago. During the course of the football season, the wear and tear of games and practices can significantly wear out your field. 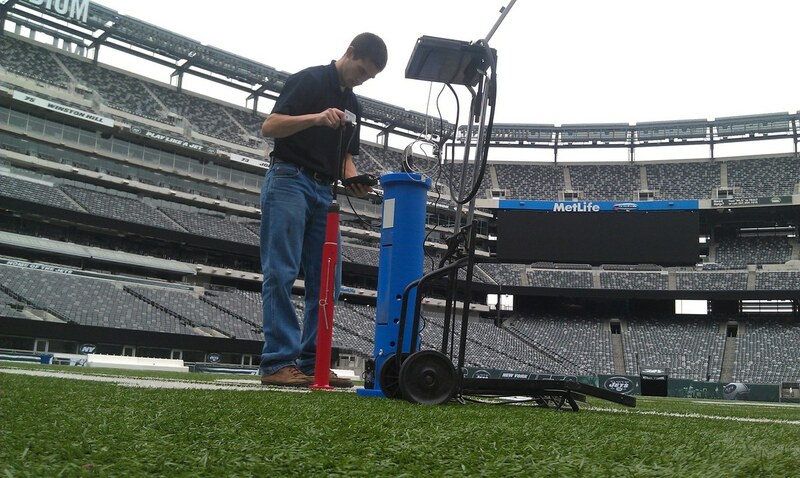 With everything involved in preparing for a football game, inspecting your field may not be No. 1 on your pregame priority list. However, routine field inspections can reduce injury risk by identifying and correcting potential hazards before the players hit the field. The NFL now mandates that fields be inspected prior to all games with each field manager required to submit an official report following the inspection. 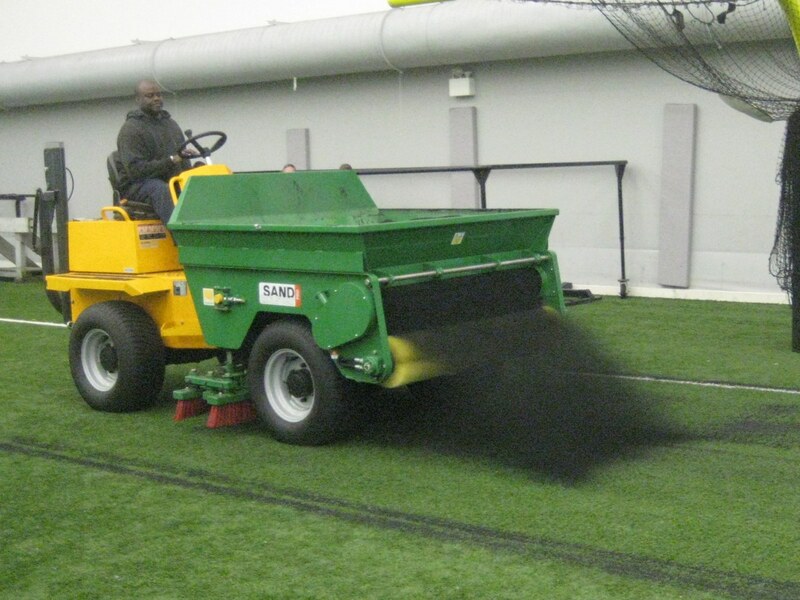 Mowing and fertilizing are two of the most basic components of managing grass football fields. On the surface, these maintenance practices seem simple enough – mow to keep the grass short and fertilize to make it grow. Synthetic turf and human health - What does the research say? Synthetic turf has come a long way since it was first installed in 1966 in the Houston Astrodome. The current generation of synthetic turf - known as infilled synthetic turf because of the crumb rubber infill used in its construction - can be found in hundreds of communities throughout the United States. 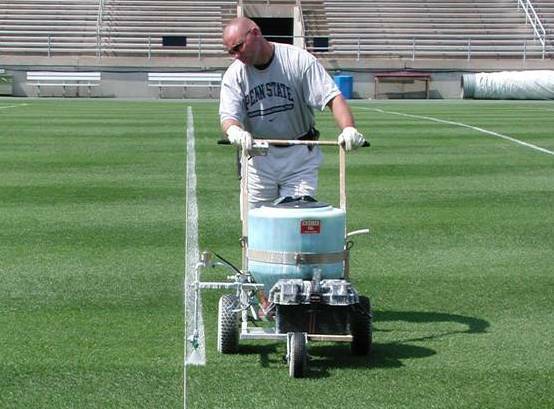 Painting a football field is not a simple, quick task. 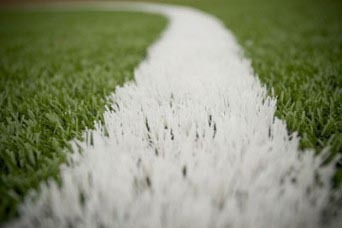 Proper field markings are necessary components of the playing surface, and a well-lined field can be a source of pride for coaches, players and fans. A certain level of traction is required for running, changing direction and other movements on a football field. But is there such a thing as too much traction? And, if so, what roles do shoes and the field surface play?